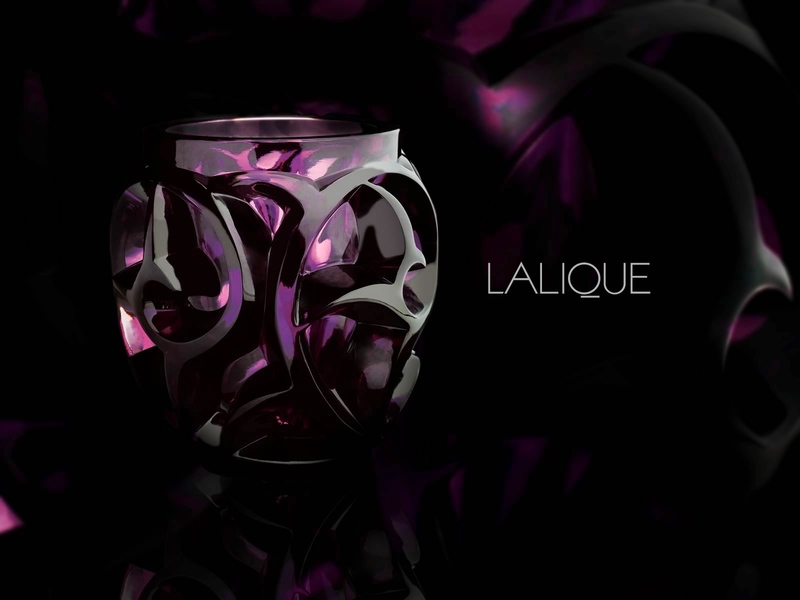 Lalique is a name that is inextricably linked with quality, artistry and beauty. Their glassware is unrivalled, pairing sculptures from nature with more abstract visions to create a brand that is contemporary yet traditional. I’ve always seen their perfumes as hidden gems. In fact, the house of Lalique is probably better known for the flacons they have created for other fragrance companies, rather than their own perfumes. 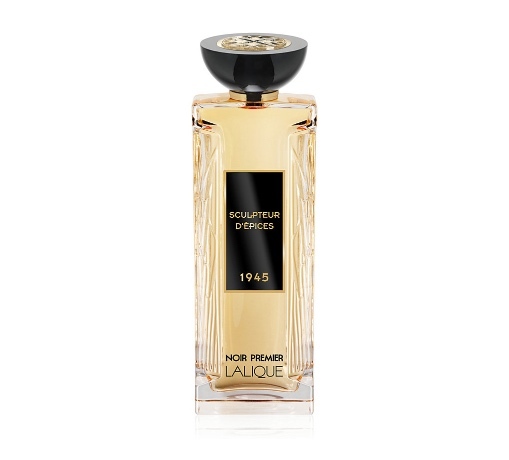 But Lalique’s fragrance collection is executed with a finesse and a paired-back simplicity that is refreshing in the fog-horn world of perfumery, where everyone is trying to shout each other down. Fragrances like Amethyst Éclat and Hommage à l’homme Voyageur, both flankers to other Lalique pillar fragrances, demonstrate familiar themes in unfamiliar guises, opting for long-lasting quality rather than ephemeral showmanship. This year, the house of Lalique is taking their knack for artistry and spinning it into a brand new collection of six exclusive fragrances. Of course, anybody who’s anybody is doing an ‘exclusive collection’ of sorts nowadays, and one cannot blame Lalique for joining the fray (there’s a bundle of money in it). But how do their offerings compare with the likes of Guerlain, Chanel and Dior et al, who have walked this path so successfully before them? Well, the answer to that question is complex and entirely depends on one’s tastes, and also one’s patience for high-end luxury fragrances, what I will say however, is that Lalique have created these six fragrances with the exact same attention to detail, and precision that they have famously applied to just about everything their hands, or noses have touched, and for that, they should be commended. The collection is entitled ‘Noir Premier’ and consists of six fragrances (one of which is exclusive to London department store, Harrods) that celebrate Lalique’s “history and milestones” in fragrant form. The names and inspirations of each fragrance come from the brand’s rich heritage and history, honouring the creators, styles and individual pieces that have made Lalique a world renowned name in the fields of glass and crystal. 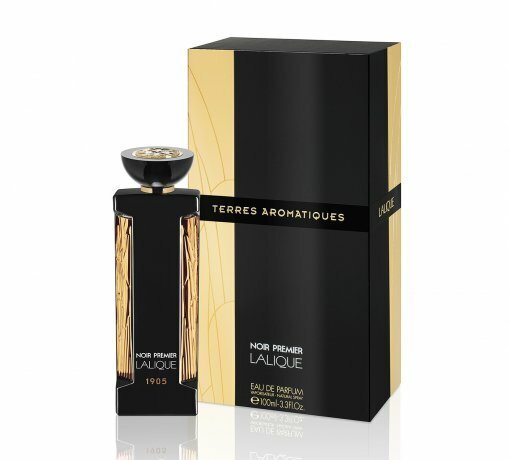 Each fragrance is housed within an exceptionally crafted bottle that harks back to the “very first black perfume bottle designed by René Lalique in 1911: the Quatre Aigles bottle” and forms the Roman numeral “I”. For the brand, Noir Premier is a personal collection steeped in history and for that reason, each of the six fragrances within this series, serves as a poignant landmark on the rich timeline of the house of Lalique. The thing that will surprise most people about Élégance Animale is the fact that it is not particularly animalic, well, not in the way that one expects it to be. It opens with a surprisingly fruity peach accord that at once, feels both bright and bubbly, and dry and dusty. The peach quickly subsides and makes way for waves of sleek and shiny black leather, complete with a subtle dosage of feline funk. This really does create that striking image of a lustrous panther, silently stalking its prey. I admire Élégance Animale for its subtle approach to funk and the fact that it pairs fruit and leather in a way that is beautifully precise, with the tarter facets of the fruit accentuating the natural sourness of the leather. There are some soft and almost doughy woods in the base to emphasise the plushness of this animale, and overall it comes across as a delightfully paired back affair that is refreshing when compared to the overbearing din created by the majority of ‘animalic’ fragrances on the market. Nice one, Lalique. Everlasting flower, or imortelle, is an incredibly complex and multi-faceted material. It can range from smelling like maple syrup to curry, with liquorice and fennel facets in between. Here, in Fleur Universelle, the imortelle note appears to display each and every one of its facets in distinct units, rolling from one to the other seamlessly. Firstly, one gets a big blast of spicy maple, before it swiftly rolls into a puff of candied fennel, which then becomes slowly adorned by anise and soft curry facets. There’s a lot going on, but Fleur Universelle never feels overbearing or particularly dense – it is sculpted with the utmost finesse. The never-ending cycle of the everlasting flower rolls on and gathers up the clove and cinnamon spice of a dusty brown rose, turning it out subtly into the formula. The fragrance exudes an offbeat chypre character as it transitions into the dry down, which is astringent with patchouli and myrrh. This odd pairing of the gourmand and the chypre really shouldn’t work on paper, but the reality is surprisingly easy to enjoy, almost as if the two styles have been awaiting the moment of their pairing for quite some time. Rose Royale is best described as a vibrant neon rose. It is a fragrance created in the same vein as Editions de Parfums Frederic Malle’s Portrait of a Lady, displaying a ruby red rose adorned with tart fruits and spice atop a vivacious base of diffusive patchouli. It’s not an exact dupe of the Malle, and it certainly feels darker, and perhaps a bit moodier, but it is nowhere near as resplendant. Still, I’d say that as far as roses go, it smells rich, complex and expensive. The trouble with doing a riff on Portrait of a Lady is that it’s impossible to improve upon and any attempts to do so simply come off as unnecessary. It’s like trying to make a more classic version of the Jaguar E Type – the original is so perfect and so timeless that any exercise to better it in any way would simply prove to be futile. That said, I enjoy Rose Royale, but it’ll never live up to the glamour, or the heart stopping beauty of my beloved Portrait of a Lady. Not that anything could, mind. Terres Aromatiques is another example of an unusual use of fruit within the Noir Premier collection. At first, it opens with an almost cologne-like dazzle of sharp lemon and bergamot, giving the impression of a zesty and restorative tonic. Quickly things turn and what was initially a blonde ray of sunlight transitions into something warmer and more auburn with time. A sparing dab of lavender adds a herbaceous touch to the proceedings and pull out the sharper tones of the citrus notes up top. This creates an interesting dynamic where an earthy sort-of sweetness quietly battles with the gleam of citrus. If I were to describe in one word, the feel of Terres Aromatiques as it dries down, I’d opt for ‘pasty’. I mean that in the sense that it is paste-like as opposed to pale or wan. There’s a distinct texture to the fragrance, created by the marshy feel of vetiver and the hay-like comfort of tonka bean. Together, these materials give the impression of rich clay, which is coloured a striking red thanks to that auburn citrus up top, resulting in something that is similar to Hermès’ Terre d’Hermès but with a bit more meat on its bones. This isn’t dry, arid desert earth or sands, this is a fertile soil found along the banks of an expansive body of water. Fruit notes get a bad rep in the perfume biz, and understandably so. No materials have been so badly misused and abused as the humble notes of fruit, and all one needs to do is walk into their local department store and browse the celebrity perfume aisle to know exactly what I’m talking about. Too often, fruit-centric fragrances are sickly sweet catastrophes that resemble nothing that hangs from a tree or bush in nature, instead showcasing a style of fragrance Barbie would wear should she have have an alcohol problem and her drink of choice is peach schnapps. Yeah, it’s not pretty. Lalique have shown intriguing uses of fruit within the Noir Premier collection so the fruity one of the bunch, Fruits de Mouvement should, in theory do some justice to the world of fruit fragrances, and I’m happy to report that it does. Essentially, Fruits de Mouvement is a jammy-fruity jasmine fragrance not unlike Serge Lutens’ iconic Sarrasins however, where the Lutens is devious, dark and snake-like, the Lalique is a bit less subtle, displaying purple fruit in broad daylight over a base of sugary amber. It’s a great use of fruit and flowers that puts most other fruity florals to shame, serving as proof that fruits can smell dark and mysterious, and not just like cough syrup. Sculpteur d’Épices is the Harrods exclusive member of the collection and sets itself apart from the pack by being the one housed within a transparent flacon. Other than that, it smells entirely in keeping with the themes displayed so distinctly within Noir Premier. To my nose, it is a spice fragrance that treads ground found within many of Amouage’s recent masculine fragrances (Fate Man and Journey Man etc.) It opens with a boozy top section that is two parts absinthe and one part Belgian beer. There’s spice too, of course, and what one finds when inhaling this olfactory sculpture is a melange of anise, cinnamon, pepper and clove that is certainly pleasing to the nose. Perhaps my big bug bear with this particular fragrance within the collection is that it is easily the least distinct. Yes, it would be fair to say that a number of the others are also derivative, but for the most part they find some odd way of clearly stating their individuality (Rose Royale being the exception). Sculpteur d’Épices doesn’t quite manage to do that and as it dries down into a predictably resinous base, one can’t help but feel that they’ve sniffed this particular blend more than once before. Noir Premier strikes me as an incredibly well thought out collection. Where many brands would pick a number of familiar fragrance styles and piece together a collection by making one of each, approaching the concept in a blasé manner by saying “let’s do a chypre” and “oh, we musn’t forget a woody-smoky one”, Lalique have created an incredibly personal series of fragrances that celebrates their history and identity. This is utterly refreshing and should be commended, even if none the fragrances within the collection set my heart ablaze with desire (although, I must admit that Élégance Animale comes close). In short, this is a solid collection of well-made fragrances that display enough individuality to draw, and in some cases keep, one’s attention. What’s more, there’s not even a minuscule whiff or hint of oud in sight, and that, ladies and gentleman, is a fact worthy of enthusiastic celebration. Each of the fragrances within the Noir Premier collection are available in 100ml Eau de Parfum for £180. Samples, notes, quotes and images 2, 3, 4, 5 & 6 via Lalique. Image 7 via fragrantica.com. Posted in Uncategorized and tagged Élégance Animale, Exclusive Collection, Fleur Universelle, Fruits du Mouvement, Harrods, Lalique, Noir Premier, Perfume Review, Rose Royale, Sculpteur d'Épices, Terres Aromatiques. Bookmark the permalink.